Use a steel measuring tape to obtain accurate measurements and be sure to carefully record your measurements by listing the width first and then the height of each opening. Be sure not to invert your measurements. Tip: Precise measurements to the nearest 1/16” are critical to your shade being sized properly. Inside Mount: Measure across the width of the window opening at the top. This measure- ment should be taken within the window frame/jamb. Record the exact measurement and provide this number to Polar Shades when ordering. We will deduct 1/8” from this meas- urement to ensure the brackets and shade will fit into the window opening properly and operate smoothly. If you would like a different deduction to be made, please let us know. Outside Mount: We recommend that you measure the overall height and add a minimum of 4” to this measurement to ensure the shade’s fabric covers the entire opening to minimize light seepage. Be sure to provide this adjusted size to Polar Shades when ordering. Inside Mount: Measure the opening from top to bottom and that is your overall height. Outside Mount: We recommend that you measure the overall height and add a minimum of 6” to this measurement to ensure the shade’s fabric covers the entire opening to mini- mize light seepage. 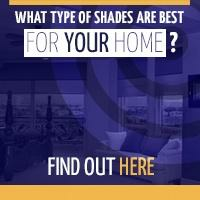 Be sure to provide this adjusted size to Polar Shades when ordering. Inside Mount: Measure across the width of the window opening at the top. This measure- ment should be taken within the window frame/jamb. Record the exact measurement and provide this number to Polar Shades when ordering. We will deduct 1/8” from this measurement to ensure the brackets and shade will fit into the window opening properly and operate smoothly. If you would like a different deduction to be made, please let us know. Outside Mount: We recommend that you measure the overall width and add a minimum of 6” to this measurement to ensure the shade’s fabric covers the entire opening to minimize light seepage. 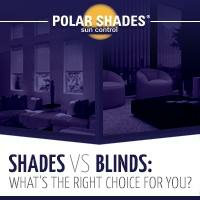 Be sure to provide this adjusted size to Polar Shades when ordering. Outside Mount: We recommend that you measure the overall height and add 8” to this measurement. FOR ALL OUTSIDE MOUNT SHADES YOU HAVE AN OPTION TO ORDER END CAPS FOR THE FASCIA BRACKETS. Measure the exact opening in three (3) places: Top, Middle, and Bottom. Take the narrowest measurement and deduct a minimum of 3/16” inch for the cassette to fit properly. Measure the exterior opening in inches. Add 4 inches (2 inches per side) to the total width of the opening. *You can also provide two measurements for the width: 1) Cassette – to ensure it will fit the opening. 2) Fabric – to ensure fabric does not rub and fray on a rough surface of the patio opening. Measure the exterior opening in inches. Add 5 inches (2 1/2 inches per side) to the total width of the opening. 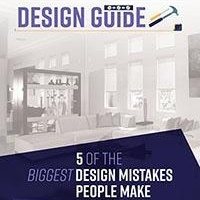 *You can also provide two other measurements for the width: 1) Cassette – to ensure it will fit the opening 2) Fabric – to ensure fabric does not rub and fray on a rough surface of the patio opening. Elite and Freedom Shade: Add 8 inches to your height measurement. Titan, Zip Rite and Patio Roll Shade: Add 10 inches to your height measurement. THE TOTAL HEIGHT INCLUDES THE CASSETTE AND TRACKS. Example: 4” Elite height is 100”. The tracks @ 96” + 4” Cassette = 100”. Note: We add 8 inches to the overall height on the 4” Elite to ensure the hembar is above the opening when retracted and clears the window opening when it is in the down position. 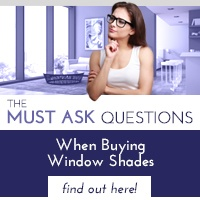 POLAR SHADES WILL NOT MAKE ANY DEDUCTIONS ON EXTERIOR SHADES. ALL MEASUREMENTS SUBMITTED SHOULD BE EXACT SIZES.